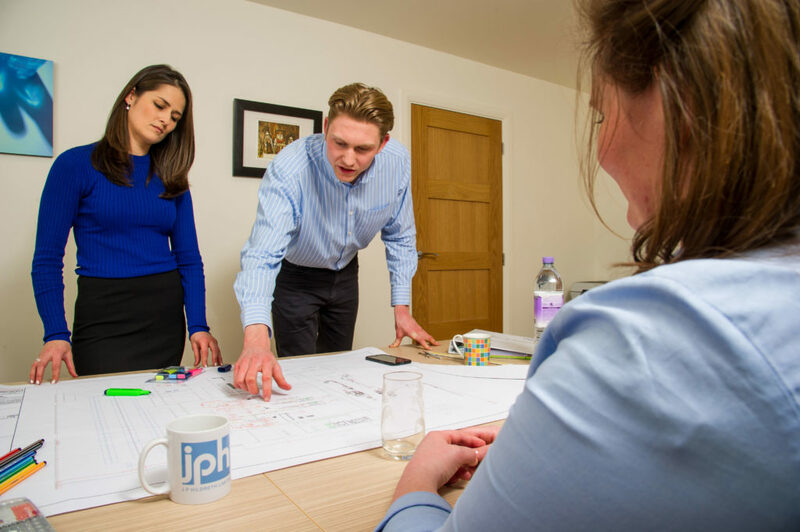 JP Hildreth is a UK-based engineering design consultancy specialising in manufacturing with their expertise spanning project management, factory design, production optimisation, robotics and automation, process development, continuous improvement and CDM site management. 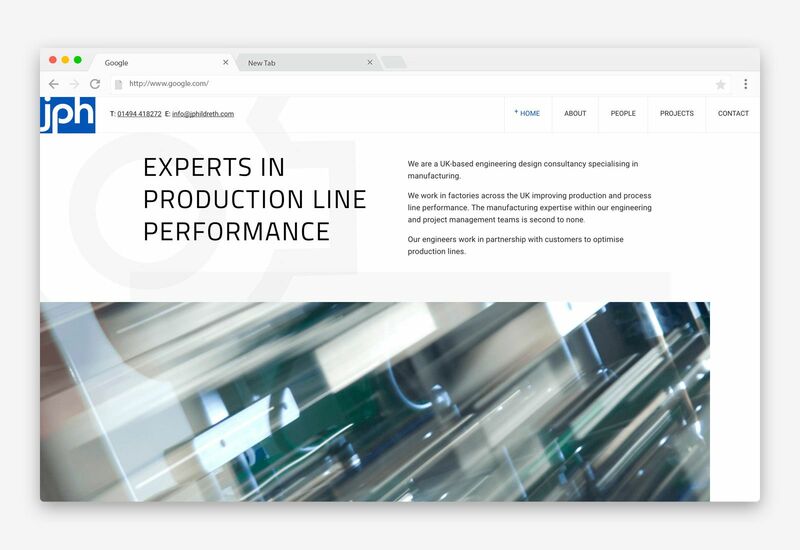 JP Hildreth approached us to help them turn their old dated website into a site that would help them stand out in a competitive market. 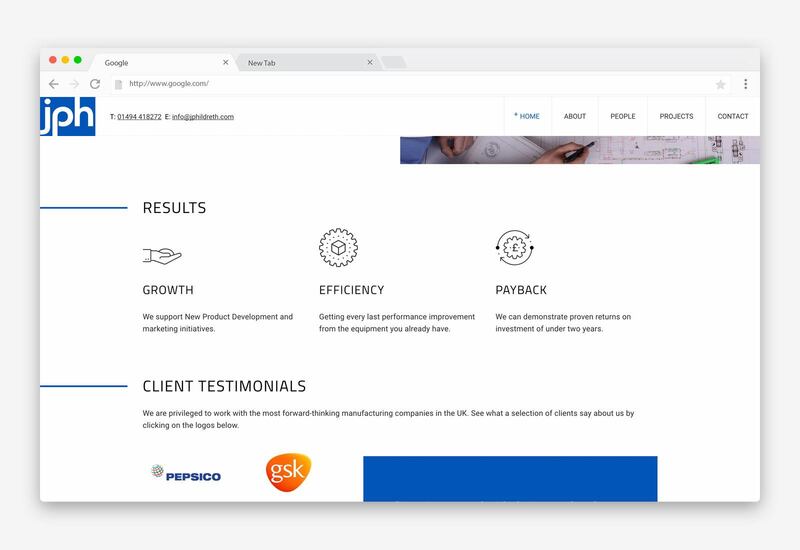 It was very important to them that the site left a strong impression with it’s users so that’s what we did. Is a responsive website filled with subtle animation, strong typography and great photography.